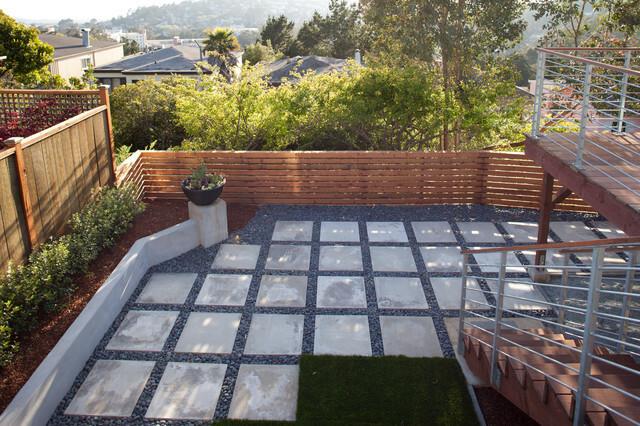 To maximize space in a small San Francisco backyard, we built a cast concrete patio with beach rock between the slabs. Artificial turf makes this landscape easy to maintain, while a line of mulch and plants bring in a touch of foliage. paver size, distance, and rock. Really beautiful for party area except the difference in space between last row and fence. That looks terrible. I kind of like those big rocks. Also easier weed control.